Nerdaphernalia | A blog for games, rules, tools and variants for a variety of nerdly things. At the end of each chapter, each player scored themselves per normal rules plus scenario specific bonus. At the end of the third chapter, whoever has the highest score over all 3 chapters wins, even if they lost or were eliminated from previous chapters. The cards required for this scenario can be FOUND HERE. They are intentionally made with light print and small size because it makes it possible to keep what’s written on them secret, even when printed on normal printer paper. Sorry for the poor layout. I have no real excuse. Mage Knights can go over the Fame limit on the fame track. If the Mage Knight would reach maximum Fame, they put their shield marker back to second from the bottom row (80), with an additional shield on top to note the second time around. Each time the Mage Knight would gain a skill and advanced ability, that works as normal. Each time the Mage Knight would gain additional armor, increased draw limit and unit token, instead the Mage Knight only gains 1 additional armor. in this chapter, the mage knights have to try to find illusive Manahearts. However, it is known they appear to be normal mana crystals but must be forged into a Manaheart, but not any mana crystal will work. Map shape is up to the players to decide. However, because this scenario is best played with 4 players, it is recommended to play with a wedge shape and use all available map tiles, stacking country tiles on top of the core tiles, as normal. All skill tokens are used, competitive and cooperative. Players have full opportunity to work together and battle one another throughout this campaign. Only one crystal can be tested each round and takes the player’s encounter for that turn. Anytime a player wants to test a crystal they must take it to a magical grove. If tested, the player rolls 2 mana dice. If both dice show the same color as the crystal being tested, an unforged Manaheart for that color has been found. That player takes the Unforged Manaheart card of the appropriate color. Gold and Black can not be used to substitute for a color for this roll. There can only be 1 Manaheart (unforged or forged) for each base color: Red, White, Blue, Green. Once an appropriate crystal is found that can be forged into a Manaheart, the player must take that crystal to a place to be forged into a functional Manaheart. Depending on how many Manahearts have been forged, the players must go to different locations. The first Manaheart must be forged at a Village. The second Manaheart must be forged at a Monastery. The third Manaheart must be forged at a Mage Tower. The fourth Manaheart must be forged at a city. In this scenario, monasteries can be attacked for an artifact, but they monastery is not destroyed in the process. The player still marks the monastery with a shield to show that the artifact has been stolen and that that player is no longer allowed to use the services of that monastery. Only one artifact can be stolen from each monastery. To forge at a mage tower or city still requires defeating the tower or city to gain initial access. The people of that location can forge the crystal into a Manaheart. However it takes time. The process is complete at the end of the round. The player leaves the crystal at the location. At the start of the next round, the Manaheart has been forged and the player who dropped it off can go pick it up without a fight. However, another player can attack the location to steal the Manaheart if they get there first. Once the forged Manaheart is acquired, discard the Unforged Manaheart card and take the Manaheart card instead. If attacking a village, draw 1 gray token to fight. If attacking a Monastery, draw 1 purple token. If attacking a mage tower, draw 1 purple and 1 gray. If attacking a city, draw the first half of the token present on the dial, rounded up. Owning a Manaheart provides many bonuses. Once per turn, it can be used to change a die in the source to the color of that Manaheart. Once per round, can be used to take a card of that color from your discard and shuffle it back into your deed deck. If every die in the source is the same color as the Manaheart, that Manaheart becomes empowered until the source is no longer all that color. While empowered, players do not reroll dice back into the source after using them. Die used from the source are placed to the side of the board until the last die is used, at which point all the dice are rolled back into the source which will likely cause the Manaheart to no longer be empowered. Cards that force a die in the source to be rerolled do not function correctly and play as though they rolled or chose the color of the empowered Manaheart. The player with an empowered Manaheart can play a card sideways to add +2 to the trait listed in the following table, instead of +1. Cards gain +3 if that card is the same color as the Manaheart. The listed effect is also gained. Refresh all units at the start of each of your turns. You have +3 armor and Resistance to all attacks. All terrain costs are 1/2. If a player attacks another player and defeats them, the winning player may steal their Manaheart. No Mage knight may hold more than one Manaheart at a time. If a player would do some action so they would be holding more than 1 manaheart, they can only hold one and must choose. Place a mana crystal of the appropriate color in their hex to indicate the dropped Manaheart. Any player may pick it up by moving into that hex. A player standing the same hex as a manaheart can use the non-empowered abilities of the manaheart. The goal of this scenario is the players to find all 4 Manahearts. Once they have all been forged, this Chapter ends. In this scenario the Volkaire has shown up on the scene and he has discovered a Black Manaheart. While he carries the Black Manaheart, Volkaire can not be hurt. The Mage knights must work together to forge a Gold Manaheart to overcome his defenses and defeat Volkaire. The game is set up the same as Volkaire’s Quest. The Race Level is up to the players. However it is highly recommended to play on a Fair Race level and Heroic or Legendary Combat level, because the Mage Knights have already gained some levels. The players keep everything they had from the previous chapter, but the map is reset. During setup, go through all of the map tiles and find each tile with an Ancient Runes and make sure they are included in whichever map setup the players choose. Additionally, go through the Ancient Runes tiles and find the Altar for each of the base mana colors. Add enough other random altar tiles so there are enough for each Ancient Runes. Return the rest to the box and shuffle the tiles for use during the game. The Mage Knights must take their Manahearts and forge them together to create the Gold Manaheart. To do this, the players must find every mana alter and infuse that Manaheart with power from a different source. The player must spend the mana as normal, have the same colored Manaheart and power the Manaheart with something, depending on the color of the Manaheart. Blue is powered by protection and the player must take no wounds from a Coldfire Attack 10. This attack can not be put onto units. Green is powered by nature and the player must have visited a magic grove, a mana mine and any other underground locations (monster den, spawning ground, labryrinth, dungeon, etc) during this round. As each Manaheart is infused, that Manaheart is broken into a shard, rendering it useless. Discard the Manaheart card and take the Manaheart Shard card instead. However, once all the Manaheart shards are brought together they fuse into a Gold Manaheart. Each player maintains control of their manaheart shard, and multiple shards can be carried by one mage knight. Once a single player holds all four shards, the gold manaheart is created. Volkaire can only be hurt by the one holding the Gold Manaheart. A mage knight with the Gold Manaheart can pass to to a mage knight in an adjacent hex by spending 2 Move and 1 Influence. Mage Knights may combat each other for control of the Gold Manaheart. A victorious player gains the Gold Manaheart after combat. Whomever has the Gold Manaheart gains the following abilities. The mage knight holding the gold manaheart can play any card sideways for +2 instead of +1. The player may spend a mana of any base color to turn the Gold Manaheart into that color temporarily. Place the appropriate Manaheart card next to the Gold Manaheart card to indicate which color is currently active. If the players defeat Volkaire, they use the Gold Manaheart to shatter the Black Manaheart. They win the Chapter and continue to the next chapter with no penalty. If Volkaire makes it to the portal, the Black Manaheart shatters upon contact with the portal and the imbalance of power causes the Gold Manaheart to shatter as well. The players lose this Chapter and suffer penalties in the next Chapter. With the Manahearts shattered, the world has lost its foundation and begins to crumble on itself. Players keep everything they had in the previous chapter and the map does not change. When the pure manahearts shattered, shards of both flew everywhere and the mage knights have a chance to grab a Gold or Black shard. Grabbing both causes them to disintegrate each other. The world is literally falling apart and only one pure manaheart shard can be brought back. If a Gold shard is brought back, a time of peace and serenity will come. If a black manaheart shard is brought back, corruption and villainy will reign. At the start of the chapter, each player is given a Gold Manaheart Shard card and a Black Manaheart Shard card. At the end of the game, only one team can win, but all Mage Knights could be on the same team. Each player, going in any order, discards one of the Shard cards facedown and explains which card they are choosing to keep. Bluffing is allowed. The discarded cards are shuffled and revealed. If each Mage Knight discarded the same color, they are all working together to survive the collapsing world. If they did not all choose the same color Shard to keep, then they are not all working together, but they do not know who is on which side. Go through the Country and Core cards and build a deck of 2 copies of each card whose tile is present on the map. Shuffle the deck and place it to the side. This is the Collapse Deck. Additionally, every rampaging location is filled with an appropriate monster token. At the end of each turn rotation, each player secretly draws 2 cards from the Collapse Deck and secretly chooses one and discards the other facedown. 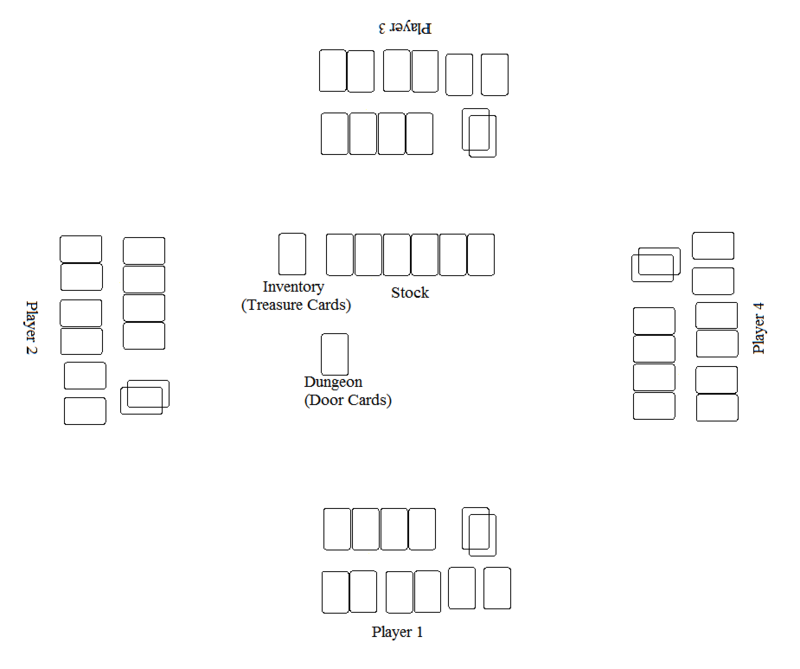 The chosen cards are piled together and is shuffled and displayed to all players. For each tile number on the revealed cards, that tile is damaged. Any mage knights on that tile take a 2 wounds into their hand. Also put a marker on the tile to show it is collapsing. If a collapsing tile is damaged again, the tile is destroyed. Any mage knights on the tile are killed and removed from the game. That player is eliminated and sits the remainder of the game. If the players lost Chapter 2 and Volkaire escaped, the players draw twice as many collapse cards as there are Mage Knights, damaging (potentially destroying) those tiles before the game starts. Players can not make use of villages, mage towers, monasteries and keeps during this chapter. The residents of those locations have all fled. Mage knights are racing back to the portal of the world before the world swallows them. Whichever color shard gets to the portal first is the winner, sealing the losing team away in a collapsing world. It’s been a long time since I’ve posted anything on this blog, but that doesn’t mean I haven’t been working. In fact I’m probably more involved with gaming than I’ve been in a long time. To the point that, I’ve set up a Patreon page so you can support me in this and get neat rewards along the way. If this blog isn’t evidence enough, I’m very passionate about games and I love designing and building them. I’m working on some original games now and could use some supplies and playtesters and people with skills that I don’t have. I am far from being a professional. I’m just one guy who loves games but I would love to be able to get enough foundation to get one of my designs crowdfunded on Kickstarter into a real published game. That’s the dream for me. But it could become reality with your help. My main focus right now is a card drafting, sorta worker placement game where the players take the role of a monster terrorizing a nearby town and each monster grows and evolves through the game through drafting. But because each monster has a unique deck with unique abilities, you might pick up some abilities from your opponents. Become the fire-breathing, brain-eating, blood-sucking ghost ogre you’ve always dreamed of! A fully cooperative Sentinels: Tactics scenario for 3 to 5 players. Requires Sentinels: Tactics – The Flame of Freedom and Sentinels: Tactics – Uprising. CRASH!! CRACK!! KA-CHOOOOMM! A sudden explosion rocks all of Megalopolis with a massive earthquake causing an entire section of the city to fall into the chasm. Where those city blocks stood is now a mountain ridge. Before anyone has time to react, ancient dinosaurs start pouring over the ridge. As if that wasn’t enough, gangsters and thugs have taken the opportunity to riot within the city, taking anything they can and attacking anyone who gets too close. The citizens of Megalopolis are trying to find refuge within Freedom Tower or the hospital. But will they be able to survive the perilous journey across the broken city? Get all of the human tokens (Civilian/Thug). Create a pile using all of the human tokens, alternating between Thug and Civilian, starting with Thug there should never be more Civilians in the pile than there are Thugs. The Elevation 2 and Elevation 3 mountain hexes of Tiles 2 and 8 can never be hazard spaces from Hero abilities (Blazing Tornado, Turret Bot, etc). This includes the entire ridge of those tiles. Several mechanics in this scenario require being able to designate a specific hex on a tile. Spawning humans requires this. These rules will use a method like 4:3:4 to show which hex. The first number shows which tile is being referred to. The second number (Blue text) shows which column on the tile to use. The last number (Red text) shows how far down the column to go, coming back if need be. Place a marker on (8:4:4) and (2:4:2). These are the points the Civilians are attempting to get towards. The Dinosaurs start on the Tiles 3 and 6. The Velociraptors spawn on any of the Elevation 3 spots on those tiles. That’s (3:5:1), (6:3:1), (6:4:1), (6:4:2), and (6:5:1) . The T-Rex starts spanning Tile 3 and Tile 6. Going on hexes (3:5:4) and (6:2:2). Dinosaurs spawned do get to take a turn on the turn they are spawned. Create a pile using all of the remaining human tokens, alternating between Thug and Civilian, starting with Thug (there should never be more Civilians being placed than Thugs). Take the top token, as it is, and use the following to determine its placement. Roll 3 dice: 1 White, 1 Blue and 1 Red. Blue determines which column the human appears on. Orienting the tile with the tile number at the top, count across the top row of hexes, starting with 2. 4 is the peak of the tile, with the tile number. 2 and 5 are the other corners and 3 and 5 are the spots between. Reroll a 1. Red determines how far down in that column to place the human. Counting the first hex as 1, count down and and back, if needed. If that spot is occupied, place the human is the last available space that was counting during the Red roll. If need be, reroll Blue. If need be, reroll White as well. If any Civilians would be placed on Tiles 2 or 8, flip the token to be a Thug instead. Humans do not get a turn the turn they are spawned. Dinosaurs respawn at the start of the round and each dinosaur killed will respawn. There should always be 4 Raptors and 1 T-Rex on the board at the end of the Respawn Dinosaurs phase. The T-Rex will attempt to move towards the target with the highest Health, even if there is a closer target. However, if the T-Rex moves over or adjacent to a non-environment target at any point during its movement, the T-Rex attacks that target. The T-Rex will only attack each target once per movement. If a T-Rex approaches a group of targets, it will attack all adjacent non-dinosaur targets at the end of its movement. Velociraptors which are not hunting will move towards the closest non-environment target they can see. As soon a Hero damages a Raptor, that player takes the Raptor scenario card in front of them. The Raptors are now hunting that player. Each turn all Raptors will move up to their Move Value as to get as close to that player as possible, moving past other targets to get closer to their pray. If another player hurts any Raptor, that player takes the Raptor card and becomes the Raptor’s pray. If the Raptor’s pray becomes incapacitated, the Raptor card is returned to aside the board and the Raptors are not hunting any target. Thugs can not become hunted by Raptors, but Raptors will still attack Thugs. Velociraptors will not attack the T-Rex nor other Velociraptors . Any Raptor within range 2 of any other Raptor is in a pack with that Raptor and all Raptors within range 2 of that Raptor. So two Raptors could be 4 hexes from each other and still in a pack with each other if there is another Raptor within range 2 of both of them. Raptors not in a pack move first. If Raptors can not see any non-environment targets and are not in a pack, they will move towards each other into a pack. If Raptors can not see any non-environment target and are in a pack with at least 1 other Raptor, all Raptors in the pack (even if one member has already moved this turn) will Sprint towards the closest scenario marker, even if they can’t see it. Raptors generate hazard spaces, which work as normal for Sentinels: Tactics. However, Raptors also trigger their hazard space attack if another target enters the Raptor’s range as a result of the Raptor’s movement. So a Raptor will attack a target it approaches or a target it passes during its movement. If a Raptor approaches a group of targets, it will attack all adjacent targets at the end of its movement. If a Raptor kills any target, that Raptor and all Raptors within the same pack, if any, get another turn. In any case without specific ruling, the players get to choose in which order the Velociraptors take their turns. The Heroes get to take their turns during this phase. If the Heroes kill the T-Rex, each Hero gets to take either an Attack +1 or a Defense +1 token. If a Hero is incapacitated, they move back to Freedom Tower and their movement roll becomes “Roll 2, take the lower” for their next turn. On their turn, Thugs will attempt to move towards the target with the lowest Health, even if there is a closer target. They will not avoid any hazard spaces. Thugs will attack any non-Thug target. If a Thug can not see any target, they will remain in their spot. Thugs stop moving as soon as they can attack a target and will not move away if there is already a target within reach at the start of their turn. Like Raptors, Thugs generate hazard spaces. However Thugs do not trigger their hazard space attack if they move past a target. They only use their attack at the end of their own movement and when a hazard attack would normally trigger. If a Thug approaches a group of targets, it will attack all adjacent targets at the end of its movement. If the Thugs kill the T-Rex or a Hero, after the current turn, Spawn all available human tokens as Thugs then the Thugs all get an additional turn. The players get to choose in which order the Thugs take their turns. Civilians will move towards the closer extraction marker, regardless of line of sight. They will move in such a way that they are numerically the closest they can get to that marker, taking the path of least resistance. In case of ties, the players get to choose. They will not avoid any hazard spaces. Heroes can use an action to move an adjacent Civilian up to that Civilian’s Move Value in any way that Hero chooses. Civilians can not enter an extraction point if it is occupied by a Villain token. Civilians can enter an extraction point if occupied by a Hero or Civilian. Humans respawn at the end of the round and each human token removed from the board for any reason will respawn. There should always be every human token on the board at the end of the Respawn Humans phase. Every time a Civilian is killed, the Villain team gets a point. Remove the Civilian from the board and place it in the pile to be repawned at the end of the round. Every time a Civilian ends its turn on an extraction marker, after resolving any attacks made on it and surviving, the Hero team gets a point. Remove the Civilian from the board and place it in the pile to be repawned at the end of the round. Play continues to the first team to reach 12 points. Add one or more of these small changes to ramp up the difficulty if you are finding this scenario too easy. The following rules are roughly ordered least game changing to most. – When a Hero becomes incapacitated, all Civilians on the board flip to Thugs. – T-rex’s Move Value increases to 5. – Thugs have 2 Health. – A Thug that kills any target gets +1 Attack and +1 Defense permanently and cumulatively. – The Villains only need 8 points to win. – Raptors gain Mobility and 4 Move Value. – Civilians can not enter a scenario marker if there is a Hero or another Civilian on that marker. – Remove the scenario marker from the hospital. Until there is enough playtesting to find a good balance for scaling the scenario based on number of Heroes, having more Heroes only makes the scenario easier. I had success with using 20 sided dice to keep score. Placing one such die on the Thug scenario card to track the Villain score and another die on the Civilian scenario card to track Hero score. Suggested Tactics The Heroes need to divide their attention between keeping the dinosaurs contained, killing thugs and helping move civilians along. If the dinosaurs get into the city, they can cause massive casualties. Keeping them within their area is extremely important. At worst, keep a hero hunted by the Raptors to keep them away from the Civilians. Thugs and Civilians can appear anywhere, so it’s important the Heroes spread out to maintain a presence everywhere. Because Thugs go before the Civilians, it is important the Heroes do their best to be the closest targets for the Thugs. Because of the elevation of Freedom Tower and that Civilians only have 3 move value, they can not enter Freedom Tower from the top and they must walk all the way around from the base of the tower, which causes a bottle necking. Heroes should consider using their actions to help move the Civilians along. Also, when using this action, the Hero gets to choose how the Civilian moves, the Hero can move the Civilian closer to the Hospital, which is easier to enter and can help maintain a better flow towards their safety. A Thug which appears near an extraction point needs to be dealt with immediately. Civilians will continue running to their death at the hands of the Thug until he is killed. – Modified villain movement to give each a unique ‘flavor’. I wanted a drinking game for Catan that was more than just “drink when you build a road!”. Something a little more involved and integrated while staying simple. Too many things to remember bog down the drinking! Created in image form for easy printing and sharing! Build 1 Barrel of Alcohol with 1 Wheat & 1 Wood. Use catan chits or coins to represent each barrel of alcohol. Alcohol can be traded like any other resource. Every 2 barrels of alcohol is 1 VP. At any time, any player may spend an alcohol token (return the token to the bank and take a drink) to take a resource card from the bank. At any time, players may gift barrels of alcohol to other players, giving them an alcohol token and forcing them to drink. On a production roll showing doubles, all players have a festival and drink half of their alcohol. All players return half (rounded up) of their alcohol tokens to the bank, taking a drink for each one returned. Upon the defeat of any monster, the PCs are able to use their skills to take bits and pieces of the creature that someone, somewhere will want to buy. Harvesting from a creature takes 1 minute per HD and at the end of the time spent, the one doing the harvesting makes a Knowledge check and gains their check result times the creatures HD in valuable organs, fluids, etc. Any amount harvested from a living creature will decay at least somewhat or partially. Each hour the harvested parts go without being sold or preserved in some manner reduces their worth by 2%, to a minimum of 50%. Some of the pieces harvested will not be able to decay (nails, scales, etc) or simply won’t fully decay to nothing, so the amount harvested will never decay to being worthless. The bits and pieces sold will most often be sold to a spell component or magic shop. Certain skills and class or race abilities will grant a synergy bonus to harvest from certain creature types. When a player has 5 or more ranks in the listed skill, they gain a +2 bonus to harvest from the listed creature types. If a character has both 5 or more ranks in the skill and the listed class ability, they gain a +4 bonus to the Harvest check. A ranger’s favored enemy bonus also applies to Harvest checks. Ability to cast or use a (Calling) spell or ability. Ability to cast or use a (Teleportation) spell or ability. The Knowledge skills allow a PC to read at a library and learn that way, instead of being restricted to their own knowledge. The size of the library gives the character a bonus to this check. A small library might have a bonus of +4. A local library might have +8. A large library would have +16 and an enormous library could have +24 or more. However, every 1 point of bonus the library has, the time to find the information increases by 2 hours. Although, the PCs can opt to reduce the bonus to whatever they want, and thus reduce the time researching. This method, generally, won’t allow a PC to find recent news or the like, as that is not typically found in a library. If the PCs can use a library to help with the Knowledge check, it is called a Research check, meaning the PC can use either of these skills in conjunction with a library. Researching allows a PC to make any Knowledge check untrained, however the PC must gain at least a +1 bonus from the library to do so. With a very large library, the time required to fully benefit from the library’s resources could take multiple days. Each day, the PCs can research for 8 hours without penalty. For purposes of researching for a long time, the rules are similar for attempting to forced march (3.5 PHB 164). If the PCs don’t want to deal with Forced Research, they will have to spread the researching out over multiple days. Any extra researching time spills over to the next day. At the end of each hour past 8, the researcher makes a Constitution or Endurance check, if he fails, he passes out. If not, he can keep researching. The DC is 10 + 2 per extra hour. The researcher is allowed to sleep during the time he is researching, while this will essentially waste his time, it resets his Forced Research count, allowing him to research a further 8 hours the next day without penalty. Once the researcher has either passed out or drawn the bonus he wanted from the library, he makes his Knowledge check with the bonus from the library. Regardless of how long he searched, or over however many days, he only receives one check. He may take a 10 on the check but not a 20. A portion of the roll is representative of simple luck to determine if the library has books on the topic to be Researched. Lastly, the researcher cannot continuously research a single topic at a library, over and over. At a certain point, he discovers the library simply does not have any information on that topic. This point occurs when the researcher has drawn twice the library bonus from it, over however many checks. For example, Tardok wants to research Blue Dragons at his local library (+8 library bonus). He spends his first day researching for 8 hours, giving him a +4 library bonus. He makes his Research check and unfortunately, he discovers nothing he didn’t already know. He pushes harder the second day, researching for 12 hours, granting him a +6 bonus. Again, he learns nothing new. At this point, Tardok has drawn a total of +10 bonus from this library, over his two days of research. When he tries again the next day, no matter how long he researches for, he will only gain a +6 bonus. The library grants +8 typically, twice of which is +16. Tardok has already gained a total of +10 from this library, so he only has +6 library bonus left before he has checked every book the library has that might contain information about Blue Dragons. Any further researching at this particular library about Blue Dragons will not give any sort of library bonus. The Intimidate skill can be used quite well in combat. In addition to demoralizing an opponent, it is possible to send him into a reckless anger. To do this, the one doing the intimidating, must make a successful Intimidate check DC equal to the targets HD + target’s Wis modifier, a negative modifier will lower the DC. If this check is successful, the target must then make a Will save DC equal to that of the Intimidate result. If this check fails, the target becomes reckless. This is a mind-affecting, language-dependent, fear effect and takes a standard action. A reckless character gains +2 Str, but ‑4 to AC and Will saves. The reckless character will focus his attention on the intimidater. This does not mean he will completely ignore all other attacks, but his focus remains on the intimidator. If a reckless character is being attacked from all sides, he will get himself to a better fighting position and then go after his target. The reckless character remains in that state until either he or the intimidator has been defeated, or he has been out of line of sight of the intimidater for a full round or 1 minute has passed since becoming reckless, which ever comes first. For example, if a fighter intimidates a wizard, then the fighter runs out of the room, the wizard will run after him. If the wizard spots the fighter in on his round, the reckless state continues. If the fighter is out of line of sight, then the state ends. Once an attempt has been made to make a character reckless, all further attempts from that intimidator to affect that target will fail for the next 24 hours. If the person being taunted is willing, they can choose to automatically be effected to gain the bonus to Strength. It essentially becomes a pep-talk at that point. While using detect magic, the caster must make a Spellcraft check to determine the school of the effect. The DC for this is 15 + spell level for a spell or DC 15 + one half caster level for a non-spell effect. If the caster of detect magic beats the DC by 5 or more, he also learns the subschool. If he beats the DC by 10 or more, he also learns any and all descriptors the effect has. However, knowing more about an item, reduces the cost to identify it. The base cost to identify an item is 110 gp, 100 gp for the material component, 10 for the service charge. If the caster already knows the school (and the item does not have a subschool) of the item, the material cost is reduced by 10 gp. If the caster knows the school of the item, and the item does have a subschool, knowing the school reduces the material cost by 5 gp. If a subschool is available and known, that reduces the price another 5 gp. Each descriptor known reduces the material cost by a further 5 gp. Attempting to identify an item with incorrect knowledge of school or subschool or descriptor causes the identify to automatically fail with wasted components. Customizability, for the sake of this reading, means anything that makes one player’s gameplay different from another. Some games allow you to choose a character role before the game, while others let you change something as you play the game. Oftentimes, the latter is usually an item or power of some sort. There are many games out there that are very customizable. People who tend towards customizable games often say the same sort of things as to why it is better than not having it. The main argument is, obviously, that is allows players the chance to play how they would like. Not every player is restricted to one style of play and they can approach victory by whatever means they choose. This makes the game appeal to a wider audience while also allowing veteran players the chance to play a little differently each time. This sort of customizability often comes as a character class or role. In Arkham Horror, you choose your character from a wide selection, each with different abilities and player styles. You can be a beat-’em-up fighter, spellcaster, gate-closer, or some balance of those or more options. While the abilities themselves often affect the game only moderately (expect maybe in the case of Patrice Hathaway), it makes the player feel more in control of their gameplay, and they will have more fun because of it. Even something as simple as getting to pick the character’s name or back story can help players feel more connected to their choice and they will have more fun because of it. The other main argument for customizability is that no two games will ever be the same, for the most part. When players are allowed to change themselves, it’s bound to affect the game itself, at least in some manner. This prevents games from becoming stagnant and repetitive. With the prices of board games, it’s important to have some replay value, at least until they come up with a GameFly for board games (that idea is currently patent pending… pending). In Dominion, each player buys cards during the game to build their own deck to draw from. 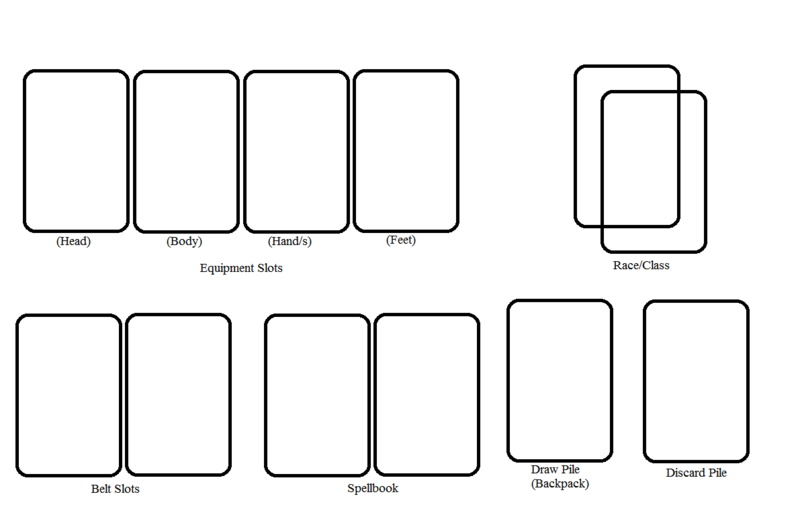 The variety of cards the players have to choose from is chosen (or randomly determined) before the game. When several of the cards allow players to take extra actions, you can be sure each turn will take a lot longer. When most of the cards grant player extra money and chances to buy extra cards, you can assume the game will go by faster than it would otherwise. Even if all the cards players have to choose from are the same as a previous game, because the players choose which cards they buy, the game still has the chance to play out very differently. All silver clouds have a dark lining (or something like that) and customizable games do have some downsides. When a game is customizable, often times the setup and playtime can take much longer than a non-customizable game. When players have to sit and choose how they want to start the game or how they want to take their turn, things can slow down. In those times when you’re just looking to play something for a little while, knowing you’ll have to spend time choosing a character or figuring out a strategy or building a deck can be disheartening. There’s also the possibility to cause some fighting. If a game has limited choice of options, players with the same favorite might have a hard time determining who gets to play it. In Humans!!! , players have a choice of roles, and they are limited. If multiple players want to be the Wrestler zombies, they have to decide between them who gets to be that role. When a player is stuck with his Plan B, he likely won’t have as much fun. Lastly, if a game is randomly customizable, players might get stuck with a choice they didn’t want. 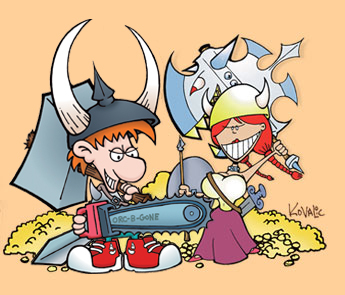 In Munchkin, players randomly draw cards to determine their race, class and what items they have. When players draw cards and get nothing they want (or worse, something they didn’t want) the game starts bad and often only gets worse. While the label might sound negative, non-customizable games have many advantages. When every player starts the same, each player has the same opportunity to win. When there are no choices to make and no chance for early opportunity, everyone has an even playing field. Basically, when there’s less chances to have the some players become more powerful than other, things usually go much more smoothly. In Settlers of Catan, all the players have the same ability to build, trade and prosper. There’s no worrying about which class to take or which items to buy. Every player is exactly the same, giving everyone the same opportunity to win. The idea flows into the next main argument for non-customizable games. When there are less choices to make, the game is easier to learn. No one buys a game with the intent to play it alone (and if you do, you might want to check out this page). If you’re trying to introduce someone to a new game, pulling out a huge instruction manual and giving them a dozen things to choose right off the bat is very nerve-wracking. When a game is easier to learn, more people are going to be willing to give it a try. For new players to any customizable game, it is a common occurrence they forget some ability they might have that other players do not. Having to remember your unique abilities (even if you have some reminder) can be an added complication some people simply do not like. Not everyone likes a long, detailed game. Sometimes it’s nice to turn your brain off and just kill some zombies. That being said, Zombies!!! has no real customization to speak of and that makes it fast to setup, easy to play and fun to finish. With no choices to worry about, players are never more than a few minutes away from zombie killing fun. Non-customizable games often are much easier to turn into travel games. Whether you have the actual “travel version” or just carry the box around with you, less choices means less stuff. Less stuff means more portability. More portability means more chances to play. Non-customizable games are simply simpler to play overall. Variety, however, is the spice of life and lacking it can make things repetitive. When each player starts the same and stays the same throughout the game, there is a good chance the game will play out just as another has before. If the players don’t have some opportunity to give themselves an edge over more veteran players, the better players will often times continue winning. If the veteran players have found a strategy that works, without some chance to change how the game plays, the newer players are often stuck in second place until they can find a good counter-strategy. New players to any game tend to not like losing over and over, and if that is the case, they are likely to not want to play anymore. Then you and your winning strategy have no one to play with. I feel safe saying while most games are still good without too much customization (and they certainly should be discounted for not having), great games have some elements of it. While a non-customizable game has many advantages over customizable ones, the replay value and play style options that come with customizability are too much to overlook completely. If you want to get your money’s worth, you’re best going after a game with customizable aspects. Those games are usually the ones you’re likely to play over and over. There are, of course, exceptions. I tend to prefer the customization over not. Granted, while it may be harder to bring new people into the game and may take longer to setup, the end result tends to be better. I have a good number of games I don’t play very often. Key to the Kingdom is a lot of fun to play, but with no ability to customize it, it becomes boring playing over and over. Each player is exactly the same, and so after playing once or twice, the game doesn’t really bring anything new to the table.